SILVER SPRING, MARYLAND, UNITED STATES, January 10, 2019 /EINPresswire.com/ -- Doctors, police, and world leaders, there have been a tremendous number of people who have been incredibly influential in our world making it a better place to live. But one particular woman has been such an incredibly positive impact but genuinely caring and helping all life on earth she is a shining example to the world. Dr. Primas is a Retired Senior Public Health Advisor who worked with the United States Department of Health and Human Services for over 47 plus years. Born in Alabama, Dr. Primas proudly became the first black valedictorian of her graduating high school. 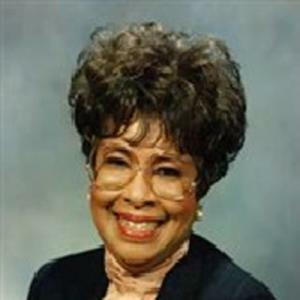 Dr. Primas attained her Bachelor’s Degree in Experimental Psychology from Morgan State University, a Ph.D in Human Development from the University of Maryland, and a Master’s Degree in Experimental Psychology from Howard University where she became Assistant Professor at Howard University and taught psychology till shewas recruited to the National Institute of Health. Dr. Primas continuously encourages young people to go into the mental health arena. Considering the widespread drug use and staggering obesity rates, a principal reason for diseases and mental health issues, there is certainly a dire need for more qualified people to enter the field. Dr. Primas notes how in some countries mental health issues are not as dominant and people seem to have a more disciplined, healthier mind set. Being a tremendous animal lover she was also over the moon by the fact that animals are so revered. In Germany she was delighted that they take animal welfare very seriously and are incredibly dog friendly are even allowed in restaurants and public transportation. Dr. Primas has a sweet adorable dog named Bandito her pride and joy. “I am 81 years old and getting older absolutely does not discourage me, if fact I make sure to eat very healthy food and when I walk my beloved dog I am getting the best exercise ever,” says Dr. Primas. Dr. Primas believes what is forlornly lacking in this world is more love and compassion for one another and all animals. God created the universe including animals and Dr. Primas sees beauty in all His creation. For Dr. Primas people who love the Lord and are philanthropic towards all individuals and animals are especially exceptional people that the world absolutely needs. CUTV News Radio will feature Dr. Marion E. Primas Ph.D. in an interview with Jim Masters on January 14th at 12 noon EST.